The healing compounds in industrial hemp, for the most part, are fat soluble, and therefore they extract very well in Extra Virgin Olive Oil (EVOO). They will also extract well with virgin coconut oil (VCO), but there are important reasons why we feel that EVOO is far superior to VCO. It should be noted that the vast majority of industrial hemp producers do not, in fact, extract the raw hemp plant with VCO. They buy or make CO2 concentrates of industrial hemp, and then dissolve the resulting thick paste with medium chain triglycerides (MCT). Remove lipase ➔ deacidification ➔ bleaching ➔ deodorizing ➔ packing. Press ripe olives, collect the pure oil, filter, and bottle. 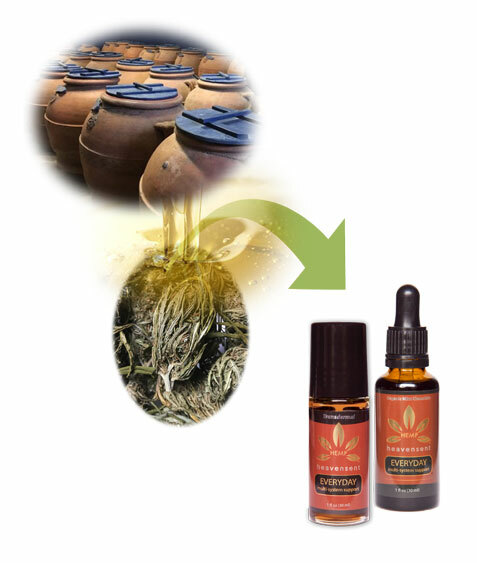 At HeavenSentHempTM (HSH) we are creating hemp products to achieve full healing potential and have minimal human interference in the delivery of hemp’s symphony of healing compounds. So from a purist manufacturing standpoint, it makes sense for us to choose EVOO. However, there is an even more compelling reason to deliver hemp extracts in high quality olive oil. Olive oil itself has remarkable healing attributes. Its polyphenols may well amplify the healing benefits of the terpenes and polyphenols found in quality hemp. Based on direct clinical testing experiences done with high quality industrial hemp extracted in organic EVOO (HSH products), we have seen remarkable musculoskeletal response that cannot be reproduced using CO2 hemp extracts in MCT. What has been particularly striking to observe is the removal of neuromuscular weakness by EXTERNAL application using a HSH roll-on dispenser. Dr. Davis discovered this phenomenon serendipitously, leading him to postulate theories linking biochemical AND bio-energetic interactions between the lipid layers of our skin and the olive oil carrying the hemp compounds. There may be even more compelling healthy metabolic shifts – to be discussed forthcoming– that occur with EVOO extracted hemp that is taken orally and applied transdermally. Upon firm percussion of the weak bone structure of an osteoporotic hip, a normally strong (facilitated) muscle that is being manually evaluated as a test muscle will generally weaken. Application of HSH transdermal hemp extract to the lower back and hip areas nearly instantaneously abolishes the muscle test that weakened upon percussion of the osteoporotic area. There are numerous academic references to the bone stimulating and remodeling capabilities of hemp cannabinoids. It will be wonderful to discover if, over time, delivering healing hemp to the body in transdermal and oral olive oil extracts can help prevent or reverse very common deterioration of bones and joints that is seen too often, and at too early an age. These and many other examples lead us to believe that EVOO combined with healing hemp is accomplishing major cell signaling that can help restore body homeostasis. 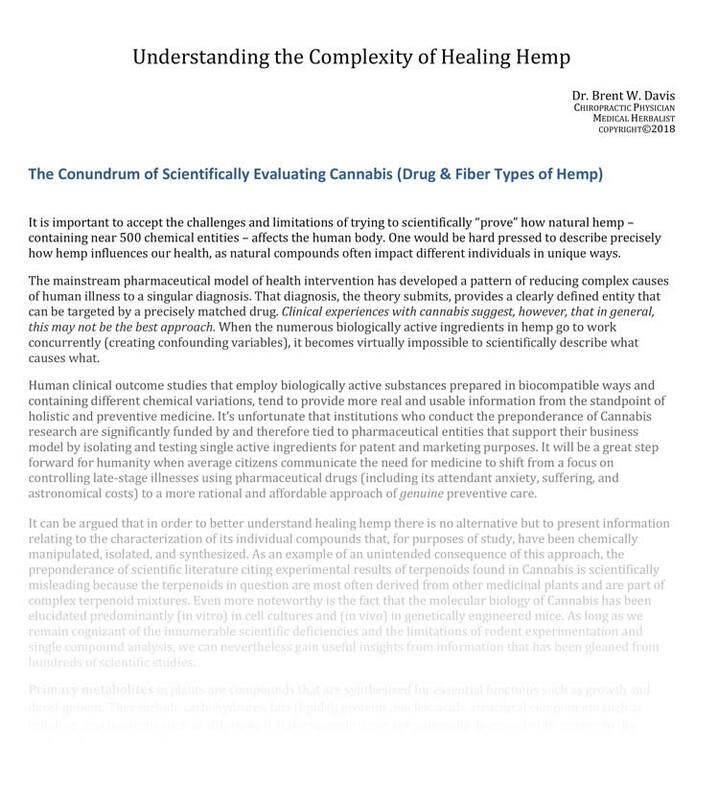 Please consult our 61 page ground breaking whitepaper for a deeper explanation of the cell signaling capabilities of hemp terpenes and cannabinoids, a subject that is well documented in academic literature.